Requirement: A high profile DIY retailer required a high level clean to the external facia and entrance marquees to its 80,000 Sq. Ft retail store. Problem: The extremely high levels of dirt and particulate matter contamination created by extreme levels of vehicular traffic and being situated next to a very busy train station and goods yard. As the market leader in its field very high levels of cleanliness and a high quality image are required. Additional problems: Due to upcoming busiest trading period of year (Easter bank holiday weekend) and very heavy delivery schedule commitments there was only one window of opportunity, this being Monday 14th to Thursday 17th April. 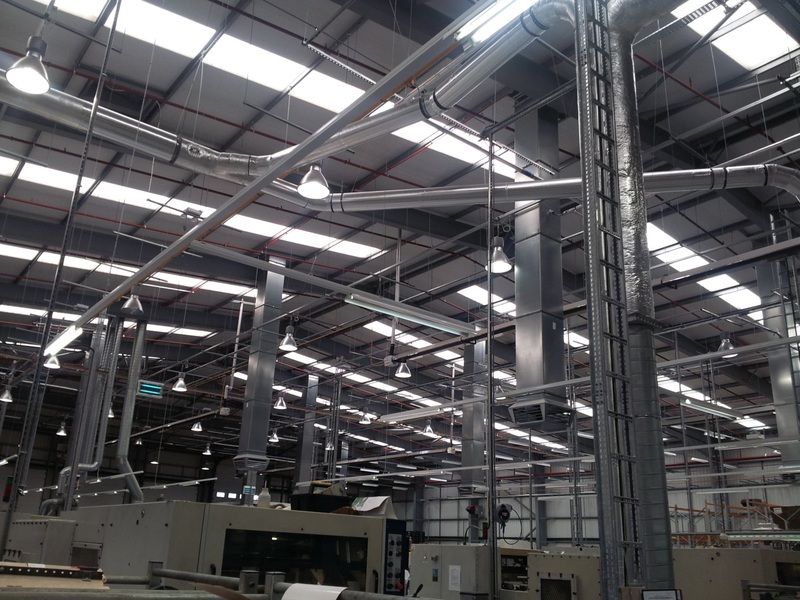 The works also had to be carried out during opening hours to maximise the window of opportunity to fulfil the contract requirements. This required areas to be cordoned off with pedestrian marshals in place to control foot traffic. Solution: Employing skilled and experienced labour force to use a combination of powered access equipment and long reach/high pressure wash systems to clean all horizontal/dirt collecting surfaces above 2.5 metres. 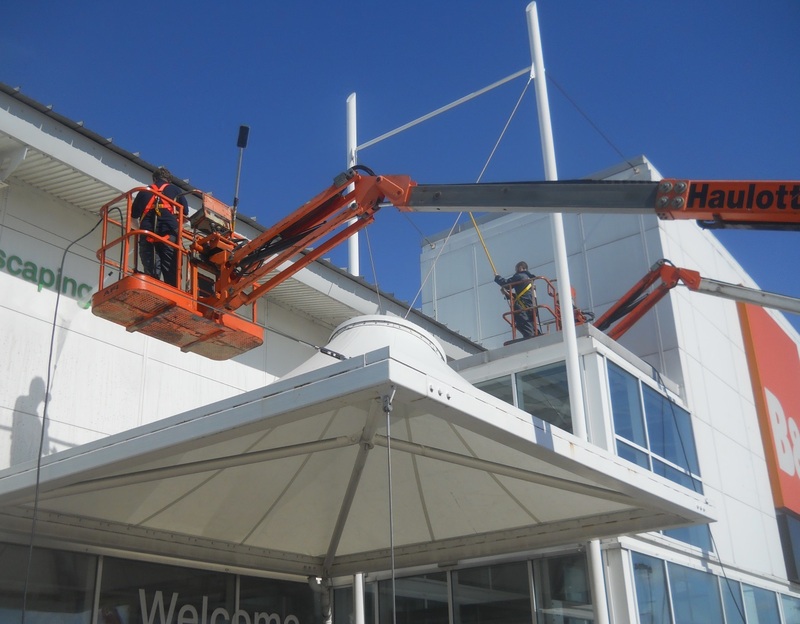 Powered access machines driven by our trained and licensed operatives to clean those areas safely accessible using a variety of equipment, operated by skilled operatives enabling surfaces up to 45ft high to be cleaned. Result: Whole operation completed on time and within budget with excellent results and a satisfied customer. For enquiries contact on 02392 668 600 or www.deep-cleaning.com.